RSD Treatment – Hyperbaric Oxygen Therapy for Reflex Sympathetic Dystrophy (RSD) is a chronic pain disorder associated with sensitivity to light touch swelling, skin color and temperature changes, weakness, abnormal sweating, muscle atrophy, and subsequent depression. RSD can follow a simple trauma (fall or sprain) a break or fracture (especially wrist and ankle) a sharp force injury (such as a knife or bullet wound), heart problems, infections, surgery, RSI/CTS, spinal injuries/disorders, or major trauma. But the precipitating cause is not always known. The original injury may happen weeks, months, or even years before the proper diagnosis is made, which contributes to this problem. RSD strikes both men and women, but typically about 75% of patients are women. It strikes victims from 1 to 101, although about 65% of patients contract the disease in their thirties and/or forties. Hyperbaric oxygenation decreases inflammation and edema while increasing blood flow to the starved limbs and nerves that are damaged by the course of the disease. This in turn reduces fibrous tissue formation. HBOT seems to break the vicious self sustaining cycle of reflex sympathetic dystrophy, because normalization of local tissue oxygen tension, pH and water interstitial content stops abnormal sensory nerve stimulation and efferent vasomotor activity. 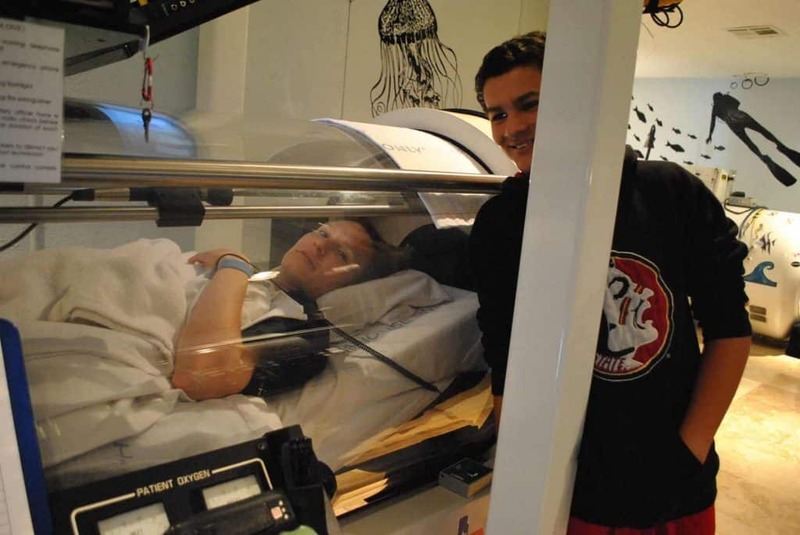 Most RSD sufferers report a full night’s sleep after a few treatments of HBOT along with a decreased need for narcotics. After a series of treatments, there is a reported noticeable improvement in thinking and diminished depression. The swelling of the effected arm or leg associated with RSD diminishes, and they are able to start physical therapy with marked improvement in muscle strength. Many people afflicted with RSD have then been able to return to a happier and more productive life, frequently returning to their prior occupation. Since every patient is different it is hard to predict the result in each individual case. 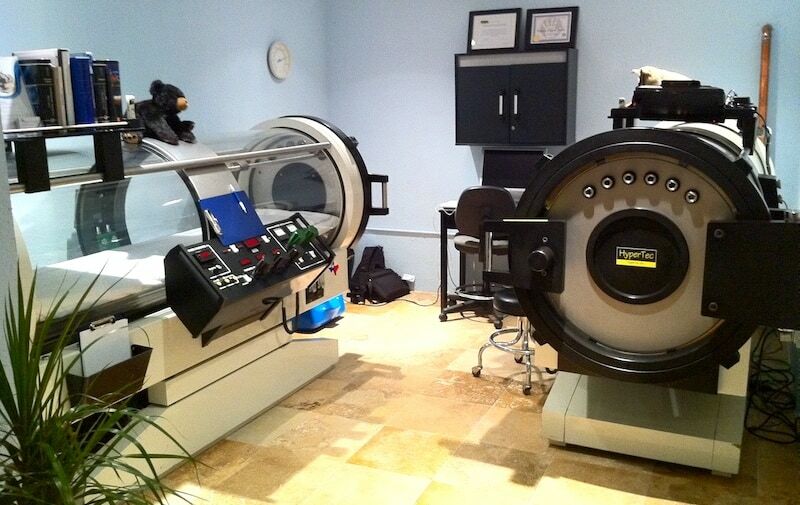 However, we know from 50 years of experience that HBOT is safe and will not make the patient worse. If a significant response is noted after 40 HBOT treatments, then additional treatments may be helpful.